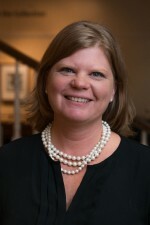 Natalie oversees the University’s Alumni Relations, Development, and Career Services teams while supporting the strategic objectives of University Advancement. She is responsible for working with loyal alumni and friends to ensure the progress and success of the ongoing $200 million Connect Today, Create Tomorrow campaign. 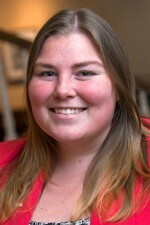 Natalie joined Ohio Wesleyan in October 2012 as a development officer for planned giving and became director of donor relations in October 2014. Natalie earned a B.A. from Ohio Wesleyan University with a double major in Politics and Government and Psychology. She earned a J.D. from Capital University Law School and has been a licensed attorney in Ohio since 2006. 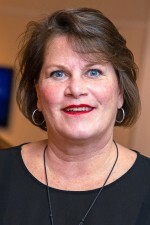 Kathy provides administrative support to the Vice President for University Advancement in her mission to build relationships with, and provide service to, alumni, parents, and friends of Ohio Wesleyan University with the goal of securing philanthropic support. Kathy holds a B.A. in criminal justice from the Ohio State University. She has over 13 years of experience in higher education. 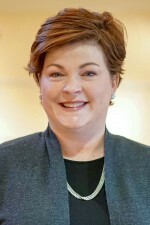 As Assistant Vice President of University Advancement, Jenny oversees Annual Giving, 50th Reunion giving, and Foundation efforts for OWU, while managing the Advancement budget and Connect Today, Create Tomorrow progress and goals. 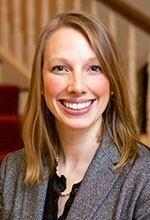 As Director of Gift Planning, Jenny provides philanthropic planning guidance to alumni, parents, and friends of OWU. She also works with the Tower Society, OWU’s recognition society for donors who have made estate provisions for the University. Jenny earned a B.A. from the University of Indianapolis in Political Science and History and a J.D. from the Ohio State University. She has more than 10 years of University Advancement experience. Sue is responsible for identifying and soliciting foundations through grant writing, and building relationships with grantor partners. 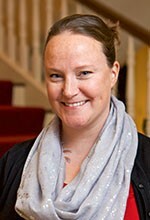 She aims to translate the great ideas of OWU's amazing faculty and staff to create compelling fundraising proposals. Sue holds a B.A. 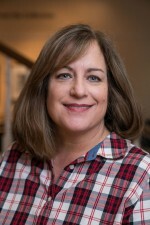 in journalism, with a minor in aviation, from Ohio State University and has more than 20 years’ experience in corporate and non-profit philanthropy. Molly is responsible for writing, overseeing, and coordinating all Advancement communications. She also serves as editor of OWU Magazine. 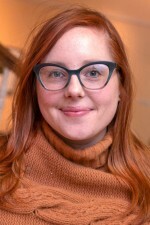 Molly graduated from Kenyon College with a double major in English and Modern Languages & Literatures. She has more than 15 years experience in journalism and the non-profit sector. Rebecca oversees the Advancement Operations team, which includes data management, gift processing, research, analytics, reporting, training, and technology, with an emphasis on research and constituent management. Rebecca earned a B.A. from Bowling Green State University with a major in Business and a minor in Communications. 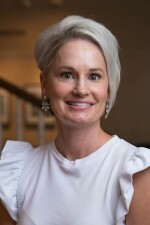 She has over 12 years of University Advancement experience with Bowling Green State University, the College of Charleston, and Ohio Wesleyan University. Jaime serves as the primary resource for designated giving areas for submission and recording of gifts and pledges, and giving-related inquiries. She partners with the Accounting Department on gift allocations, reconciliations and fund reporting. Jaime earned a B.A. from Ohio Wesleyan University with a major in Accounting and minor in Coaching. She also works with the Women’s Volleyball team at Ohio Wesleyan. Paula establishes database integrity and oversees gift processing, importing, and training. Paula earned a B.S. in Administrative Management at Bowling Green State University. She has 27 years of non-profit/higher-education experience with the Ohio Foundation of Independent Colleges. Joni is responsible for the daily maintenance and research of constituent records including biographical, contact, and employment information. She also provides assistance to those working with the University Advancement website. Joni has a B.S. in Business Administration, concentrating in Advertising and Public Relations from Youngstown State University. She also completed her B.A. in English at OWU in 2017. She has a decade of University Advancement experience. Tess Ireland Hallinan works remotely from Denver, assisting Advancement Operations with constituent research. She has worked in the Advancement field since earning her B.A. from Ohio Wesleyan University where she majored in Sociology and Anthropology. While attending OWU, she was a part of Kappa Alpha Theta and the OWtsiders, Ohio Wesleyan’s co-ed a capella group. 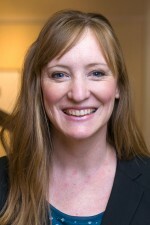 She served on the Advisory Board of OWU’s Richard M. Ross Art Museum from 2009 until 2018. Nicole is responsible for the strategic use of data and reporting to inform strategies and maximize effectiveness of Advancement efforts. Nicole holds a B.A. and a M.A. from the University of Toledo and a Certificate in Institutional Research from Florida State University. She worked in the OWU Office of Admission from 1999-2006, and has spent ten years assisting with executive searches in higher education. Katie leads the Office of Alumni Relations and works to create meaningful opportunities for connection for alumni with their alma mater. Her office coordinates the annual Reunion Weekend in May and Homecoming & Family Weekend in October, in addition to other signature and regional events around the country. 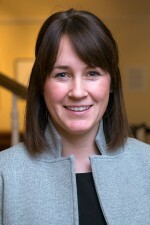 Katie also works with the Ohio Wesleyan Alumni Association and Alumni Board of Directors. Katie earned a B.A. from John Carroll University with a major in Communications. She has over 20 years of experience in non-profit settings, relationship management, and advancement leadership. 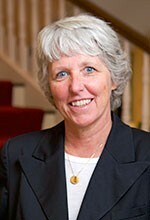 She originally joined OWU as the 50th Reunion Program Director and also oversaw the 45th and 55th reunions. Kerrie creates meaningful engagement opportunities for OWU alumni, with a focus on affinity groups including: Greek, athletes, LQBTQ+, black, campus residence, and majors. Kerrie works closely with alumni celebrating their 20th, 25th, 30th, 35th, 40th, 60th and 65th reunions. In addition, she stewards our volunteers and communications to our general alumni base. Kerrie earned her B.A. from The Ohio State University in Communications with a minor in Studio Art. She has over ten years in nonprofit/higher education experience. Chris assists alumni with event registrations and updating of contact information. She provides office support to the team in Alumni Relations. Chris earned a B.A. from Otterbein College with a major in Psychology and has nine years of experience in University Advancement. 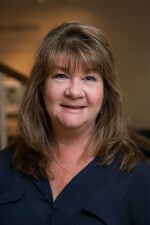 Patty builds relationships with, and provides service to, alumni, parents and friends of Ohio Wesleyan University with the goal of developing and strengthening meaningful alumni communities and increasing loyalty through events and programs. Patty is responsible for signature events such as Homecoming & Family Weekend, Reunion Weekend, regional holiday events, and more. Patty works closely with Reunion Committee volunteers and focuses on enhancing the volunteer experience for all constituents. 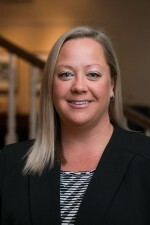 Patty studied Organizational Development and Leadership at Saint Joseph’s University and has over a decade of University Advancement experience. Sarah works closely with young alumni creating meaningful engagement opportunities and with students overseeing OWUSAA. Sarah earned a B.A. in Comparative Religion from Capital University. She earned a Master of Theology from Trinity Lutheran Seminary. She comes OWU after working in the non-profit sector. Miranda provides leadership to the Annual Giving team and focuses on comprehensive strategy and stewardship for the department. In addition, Miranda builds relationships with alumni, parents, and friends with the goal of securing annual philanthropic support for Ohio Wesleyan University. Miranda earned a B.A. in Journalism with a focus on Public Relations and Marketing from The Ohio State University. She worked in athletics communications before finding her passion for fundraising. She has over 13 years of fundraising and leadership experience. Miranda joined OWU in 2012 as the Associate Director of the Ohio Wesleyan Fund and was promoted to the Director of Annual Giving in 2014. 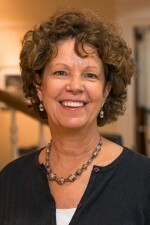 In prior years, she managed the Parents Fund, Parents Leadership Council, Team OWU, and class giving efforts for the post-50th reunion classes. Carol provides data support as well as general office guidance to the Annual Giving team. Carol earned a B.S. in Speech and Hearing Sciences from Ohio University and M.S. in Audiology from Kent State University. She worked for about 12 years as an Audiologist. She then joined OWU as a secretary to the Provost so that she could both work locally as well as be active in her family’s adventures. 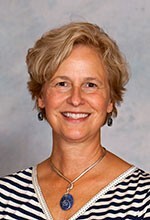 Carol joined University Advancement in 2007. LeeAnn manages the Phonathon Program, co-advises Ohio Wesleyan’s Student-Alumni Association, oversees student philanthropy, including the 2019 Class Gift, and leads the giving efforts for the senior class, in addition to providing leadership and volunteer opportunities for these alumni. LeeAnn earned her B.A. from OWU in English and Zoology, and minored in Sociology-Anthropology. She was a Student Development Officer and supervised the Phonathon Program, was a member of Ohio Wesleyan’s Student-Alumni Association and Senior Class Council, and interned in Mowry Alumni Center alongside the Annual Giving team. Raeceen leads giving efforts with alumni who graduated between two and 18, 27 and 44, and 58 or more years ago, including the 5th, 10th, 15th, 30th, 35th, 40th, 60th and 65th reunions. She works to create meaningful connections for alumni to OWU and to encourage their support of Class Giving. Raeceen earned a B.S. in Hospitality Management from the University of Findlay in 2014. She worked in the OWU Advancement office and as a Phonathon Supervisor while pursuing her degree. She started at OWU in 2016, managing Phonathon, Student Philanthropy, and the Young Alumni Program giving efforts. 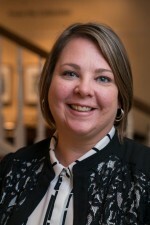 Mandy leads the annual fundraising and communication efforts for the Parents Fund and OWU Parent Community and she manages the Parents Leadership Council. Mandy also oversees the giving and volunteer efforts for the 20th to 25th reunion classes. Mandy earned a B.S. in Business Administration with majors in Marketing and Transportation & Logistics from The Ohio State University. Julia leads the giving efforts for the 20th to 25th reunion classes and manages multi-channel communications and data for the Annual Giving team. Julia earned a B.A. from Ohio Wesleyan in 2006 with a major in Politics & Government, and an M.A. from The Ohio State University in Higher Education and Student Affairs. 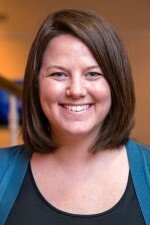 She joined the Annual Giving team after three years in Alumni Relations at Ohio Wesleyan. Ed supports the Annual Giving and Athletic programs through oversight and implementation of the annual athletic fundraising initiatives (Team OWU). Team OWU is the fundraising arm of OWU Athletics. It is made up of alumni, parents, and friends of OWU Athletics that are committed to providing the funds necessary to provide student-athletes for OWU's 25 varsity teams with the best possible experience on and off the field. Ed earned a B.S. in Secondary Education from SUNY Plattsburgh and a M.Ed. in Higher Education from the University of South Carolina. He has over twelve years of University Advancement experience and over 25 years in Higher Education. Maureen assists the Director of Donor Relations. Through stewardship, she works to build lifelong relationships with donors and their alma mater. 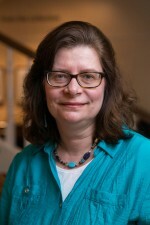 Maureen graduated from the University of Dayton with a bachelor’s degree in History. 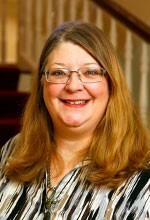 She earned a master’s of education from Miami University in educational administration. 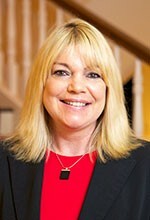 Maureen has more than 20 years of experience in higher education and has been in University Advancement for nine years. Debbie graduated from Bliss Business College in Columbus where she studied travel and tourism. She has 33 years experience working in a non-profit setting with expertise in development support, Raiser’s Edge database building and customer service. Debbie provides administrative services to the office of Gift Planning, the 50th Reunion Program, and the office of Stewardship, Foundation, Corporate and Governmental Relations in their mission to build relationships with, and provide service to, alumni, parents and friends of Ohio Wesleyan University with the goal of securing philanthropic support. 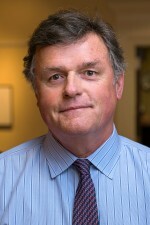 Pablo leads a team of seven major gifts professionals. 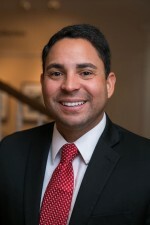 In addition, Pablo builds relationships with and provides service to alumni, parents, and friends of Ohio Wesleyan with the goal of securing philanthropic support for Ohio Wesleyan University. Specifically, he focuses his efforts in California, Washington state, and Oregon. Pablo earned a B.A. with majors in Political Science and International Studies and an M.A. in International and Comparative Politics, all from Wright State University. Mindie provides administrative services to the Development team and AVP in their mission to build relationships with and provide service to alumni, parents, and friends of Ohio Wesleyan University with the goal of securing philanthropic support. She has worked at OWU for four years previously working as the Gift Processor and Secretary to the Dean of Academic Affairs. Jim Buggy is a fundraising professional with more than 35 years of experience and represents Ohio Wesleyan in the New York City metropolitan area as well as Connecticut. Jim has worked with a cross-section of clients as a consultant and staff member, raising more than $500 million for capital, annual, planned giving, and special event projects. He has designed and directed capital fundraising campaigns and feasibility studies, advised on board development and strategic planning and has been a trusted advisor for organizations undergoing growth or in transformation. Jim and his wife Lucy, OWU Class of 1985, reside in Fairfield, CT and are the parents of four daughters, including one OWU grad. 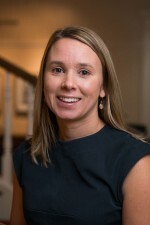 Kelly builds relationships with, and provides service to, alumni, parents, and friends of Ohio Wesleyan University with the goal of securing philanthropic support for Ohio Wesleyan University. Specifically, she focuses her efforts in Ohio and the Gulf Coast States including Florida, Alabama, and Texas. Kelly earned a B.A. from Kent State University with a major in General Studies. 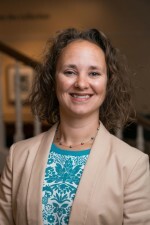 She has over 15 years of University Advancement experience working at Purdue University, Kent State University, and Ohio Northern University prior to joining Ohio Wesleyan University. Ryan builds relationships with and provides service to alumni, parents, and friends of Ohio Wesleyan with the goal of securing increased philanthropic support for the University. He focuses his efforts in Arizona, Colorado, Illinois, Maine, Massachusetts, Missouri, New Hampshire, Rhode Island, Upstate New York, and Vermont. Ryan earned a B.A. from Ohio Wesleyan University with a double major in Economics with a Management Concentration and Spanish. 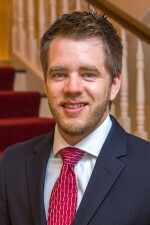 Prior to returning to Ohio Wesleyan, Ryan held multiple advancement positions at Kalamazoo College and the University of Vermont. 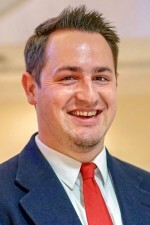 He has served on OWU’s Board of Trustees as a graduating class trustee (2009-2012) and as junior board member (2014-2017) on the Woltemade Center's Alumni Advisory Board. 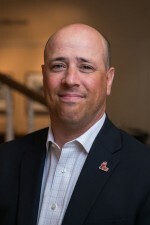 Mitch builds relationships with, and provides service to alumni, parents, and friends of Ohio Wesleyan with the goal of securing increased philanthropic support for the University. He focuses his efforts in California, Massachusetts, and Pennsylvania. Mitch earned a B.A. from Earlham College with a major in Politics. Prior to working for Ohio Wesleyan, Mitch worked in admissions at Birmingham-Southern College, and fundraising at Wittenberg University. Annie builds relationships with and provides service to alumni, parents, and friends of Ohio Wesleyan University with the goal of securing philanthropic support for Ohio Wesleyan University. Specifically, she focuses her efforts in Maryland; Washington, D.C.; Philadelphia, Pennsylvania; Virginia; North Carolina; South Carolina; Georgia; and Central Ohio. Annie earned a B.A. from Ohio Wesleyan University with a major in Education. 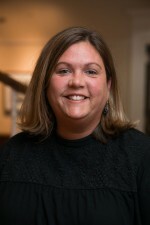 She has held numerous positions at Ohio Wesleyan in the Admissions office, Alumni Relations Office and Development Office. She has 23 years of University Advancement experience. Lauren leads the effort in planning and fundraising for the 45th, 50th, and 55th reunions. 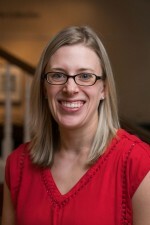 She works closely with alumni ensuring reunions are meaningful and fun. Lauren earned a B.A. in History from Otterbein College and a Master’s of Higher Education from Kent State University. She came to OWU in 2015 and has nearly a decade of experience in nonprofit philanthropy. 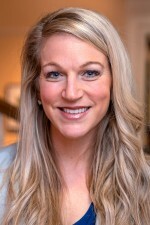 Lauren resides in Delaware with her husband and two children. Dacy builds relationships with and provides service to alumni, parents and friends of Ohio Wesleyan with the goal of securing philanthropic support. She specifically focuses her efforts in New Jersey, Georgia, North and South Carolina, Alabama and Texas, NW Ohio and Indiana. 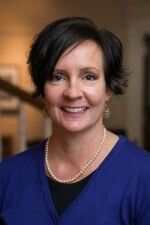 Dacy has 13 years experience in higher education with time spent in professional school admissions, annual fund operations and major gifts, all at Ohio Northern University. She is a graduate of the Ohio State University with a B.A. in English and M.A. in journalism. Wendy builds relationships with, and provides services to alumni, parents, and friends of OWU with a goal of securing philanthropic support for Ohio Wesleyan. 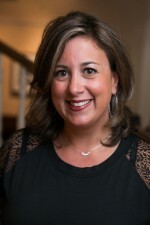 She focuses her efforts in the Tri-State area including New York City, New Jersey, Westchester, Long Island, and Connecticut. Wendy earned a B.S. from the University of Massachusetts-Amherst with a major in Sport Management and a minor in Judaic Studies. She has over 15 years of fundraising and event planning experience. 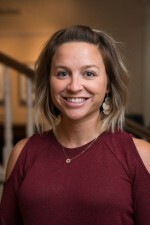 Megan is responsible for designing and implementing OWU's Career Connection program, which will be a holistic four-year experience preparing students for life and professional success. 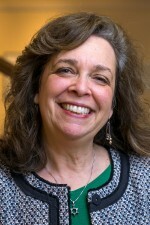 She works closely with students, faculty and staff, alumni, community members, and corporate partners to create opportunities for personal and career development for OWU students. Megan earned a B.A. from Ohio Wesleyan University with an Economics Management major and Psychology minor. 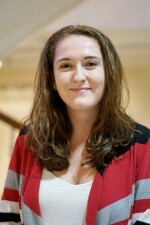 She is pursuing a Master's of Education in Higher Education from Pennsylvania State University. Mindy coaches students on internship success strategies, networks with employers to develop internship opportunities, and works with alumni to develop externship (career exploration) experiences. She helped create “The Bishop Launch Project," an intern development program designed to help students become confident, competent and competitive internship and job seekers. Prior to joining OWU, Mindy worked for 10 years as a Career Strategist in the Career and Workforce Development Program at Jewish Family Services in Columbus, OH. 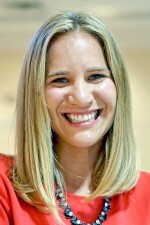 Mindy holds a BA in Judaic Studies and Political Science from Emory University and an MS in Human Resources Management from the New School for Social Research in NYC, NY. 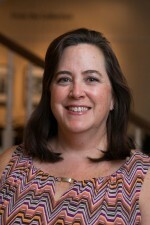 Mindy is a Certified Professional Resume Writer and member of the National Association of Colleges and Employers (NACE). Jill plans and executes the Career and Graduate School Fair and the Internship & Summer Job Fair. She coordinates student programming and appointments and on-campus recruiting for the Office of Career Services. As coordinator of the Student Assistantship Program, she aids students in gaining practical work experience through on-campus opportunities. Jill joined Ohio Wesleyan in 2017. Jill earned a B.E.S. in Communication Disorders from St. Cloud State University in 2001.